DVD Shrink is a popular yet free choice of software for users who want to compress and copy their DVD files or discs. When copying a DVD, it can remove the DVD region code and the copy protection. However, since it hasn't been upgraded for many years, it cannot remove the relatively new DVD protection. There are also some other common issues that keep popping up such as error in reading file, audio issues, burning problems, loss of quality and etc. Because of these disadvantages, many people are looking for DVD Shrink alternatives to compress and copy their commercial DVD movies. If you're in such a situation, you've come to the right place. Here we gathered top 10 free and commercial alternatives to DVD Shrink to help you backup DVD to hard drive, NAS, media server and cloud storage so you can protect your expensive DVD discs from being gloried coasters. MakeMKV is a program designed for ripping DVD and Blu-Ray disc video. It works by decrypting proprietary discs to transfer codecs from the formats VOB and M2TS into MKV, preserving the necessary data without doing any lossy codec conversion. 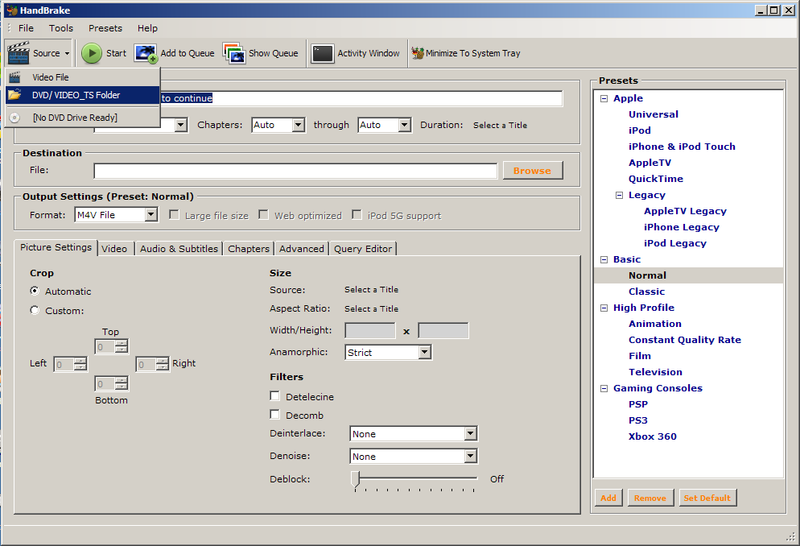 The MKV format was chosen because of Matroska's goal to make a file format that acts like a DVD, with its simple container design to store any amount of video/audio tracks, with all meta-information including chapters. bitRipper is FREE DVD to AVI software that allows you to back-up your DVDs as AVI files on the hard drive. It can be used for one-click ripping as good as for advanced modes. You are free to choose whether to use default configuration values or to set them manually. AnyDVD works in your computer's background to automatically remove the copy protection off a DVD movie, allowing you to rip the DVD onto your computer. You can also remove the RPC region code, thereby making the movie playable anywhere. AnyDVD also decrypts protected audio CDs, HD DVDs, and Blu-ray Discs (the latter two with AnyDVD HD). Additionally, AnyDVD can remove unwanted movie features, including subtitles and prohibition messages such as copyright and FBI warnings. HandBrake is an open-source, multithreaded video transcoder- it converts digital media from one format to another, compressing the files in the process. Handbrake can rip encrypted DVDs with libdvdcss (libdvdcss is installed with VLC media player on Mac OS X, or AnyDVD/DVD 43 on Windows). 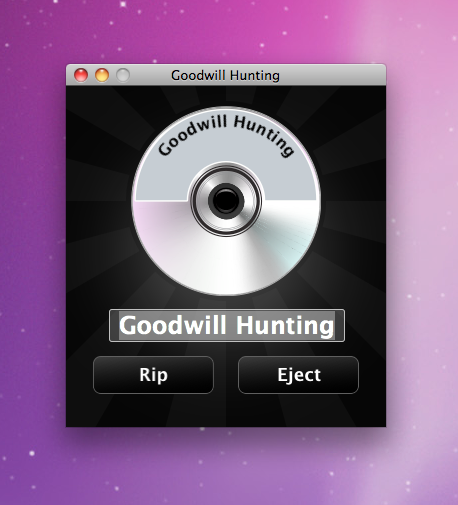 Transfer DVDs to your Mac with ease and speed. Then take your movies with you without the need to carry around discs. RipIt saves both your MacBook's battery life and your movie collection from scratches. Easily transfer a DVD in one of two ways: Ripping copies everything to your Mac - the movie, extras, subtitles, and alternate tracks. Compressing creates a file playable in iTunes and on iPod, iPhone, iPad and Apple TV. EaseFab LosslessCopy is the best solution for Lossless backup and ripping DVD yet Blu-ray to almost all popular video formats. More than lossless output, it is possible to recode the source movie into MKV/MP4/MOV/M4V video with certain video/audio codecs. The program reads free and copy protected DVDs, and can convert them easily in different formats based on your specification. Apart from creating video files directly, it ships with profiles that you can make use of to create videos for Android, iPhone and other devices that you own so that you can play them on said devices without having to worry about formats and other technical information. EaseFab Blu-ray Ripper is highly recommended as one of the best BD/DVD disc handling tools on the market, integrates disc backing up and ripping skills to make it standout. 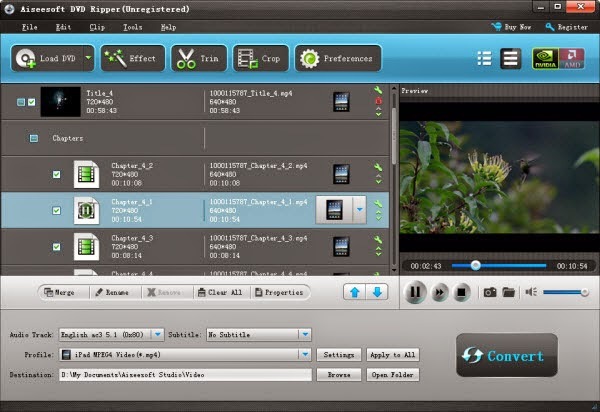 EaseFabVideo Converter Ultimate is best integration of a blu-ray ripper, a dvd ripper, and a video converter to quickly complete BD/DVD to video and video to video conversion. * Transfer Blu-ray/DVD movies to smartphones, tablets, Xbox/PS3, etc. Each free DVD Shrink alternative has limited functions. For example, MakeMKV only can convert DVD to MKV while bitRipper only works on Windows computer. So if you have high requirement on DVD ripper and copying, you can take a paid DVD Shrink alternative. Considering the functions and price, EaseFab LosslessCopy (Mac version) can be the best choices.